These are the Cintique Lydia sofas, chair and footstool that can me made in a lovely selection of different fabrics and leathers. A wonderful design that is simple and classic but with modern & contemporary stylings. 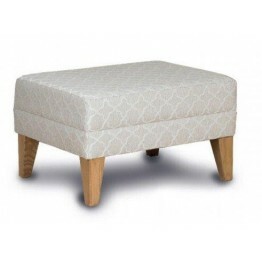 The fibre filled back cushions have a double seamed design that helps the interiors keep their position, and they are are zipped into place as well. Seat cushions are reversible, when in fabric, and are also filled with a resilient foam interior that comes back to shape straight away. The Lydia model also features a wooden legs all around, and the front ones extends upwards to become the arm facing. These wooden sections are available to be stained to a number of different wood colours as to which ever suits your home best. The framework is made from solid woods and all items have a full Cintique springing platform. 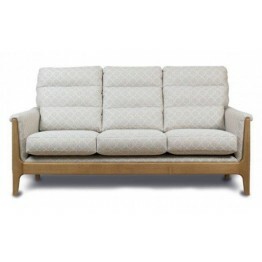 We offer free delivery across mainland England and Wales, whereby we'll bring all the new upholstery into the home, unpack it and take away the packaging. Usual delivery time is around 6 - 8 weeks but f you do need it sooner please do let us know and we will see if the factory can accommodate you. 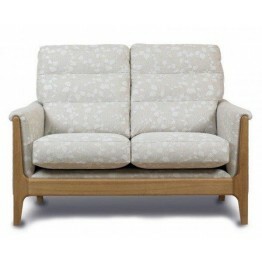 Cintique Lydia 3str settee which has reversible seat cushions (when in fabric) and zipped into place.. 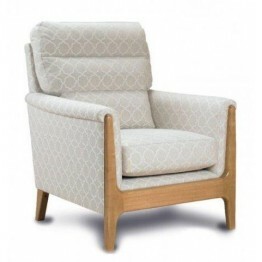 This is the LYD/CH Cintique Lydia Chair.Dimensions : Overall Height: 99cm or 39"Overall Depth: .. 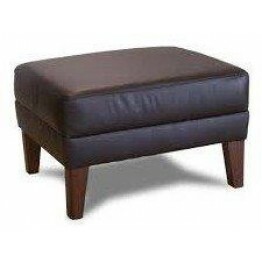 This is the LYD/STL Cintique Lydia Stool Dimensions : Overall Height: 39cmOverall Depth: 5..